I would like to expand the City’s Office of Economic Development to include more personnel and more outreach activities to bring companies into the City. Currently, the Office is minimally staffed. 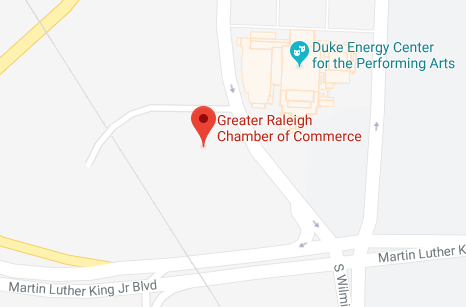 I’d like to expand the Office to do a better job at identifying the types of businesses that could be successful in Raleigh that could provide jobs to people of all skill levels. I would like to expand opportunities for new businesses throughout Raleigh’s 144 square miles to allow people to live closer to where they work and to serve areas of the city that are lagging economically. The UDO placed emphasis on mixed use development. However, the UDO doesn’t mandate mixed use development. Rather than a mix of residential, commercial, and office we often get just one type of use. The UDO should be updated to better encourage mixed use development where mixed use is most appropriate. Additionally, the UDO has a Planned Development zoning district that requires a master plan and considerable details about placement and massing of buildings, street improvements, setbacks, landscaping, etc. While not a site plan, these master plans do provide greater predictability for development. I’d like to see adoption of master planning in our mixed use districts rather than only in Planned Development zoning districts. Third, I’d like to change the UDO to allow greater citizen engagement in development decisions. For example, I support expanding the notification radius of rezoning requests from 100 feet to 1000 feet. I support formal notification about development presentations and votes at Citizens Advisory Council meetings. I support increasing the notification radius about public meetings and hearings pertaining to development. Balancing needs is about priorities. Any city has a responsibility to provide basic infrastructure and services. These include water, sewer, roads, sidewalks, transportation, garbage collection, police and fire protection, etc. These basics must be given high priority. Simultaneously, a city must be an attractive place to do business and provide businesses with what they need to be successful. For example, we have an excellent airport. However, we need more direct flights to major markets in the US and worldwide to allow businesses to reach those markets. Also, amenities such as parks, greenways, ball fields, swimming pools, picnic shelters, community centers, entertainment venues such as Walnut Creek and Red Hat Amphitheater are essential to attract businesses and the jobs that they provide. We begin by providing the basics but we must also be willing to take calculated risks to provide for the needs of business. Within the City budget we have debt capacity that will allow us to build a new municipal campus without increasing taxes. That said, we will will still have to finance that campus. I would consider cuts to the campus to allow increased spending in other areas such as affordable housing, transit, and jobs training programs. For example, 30 people are trained each year in the construction trades in partnership with the Homebuilders Association. I would like to expand this this program to provide training for up to 100 people per year. Growth has been good to Raleigh. New and highly attractive neighborhoods including some as large as the size of small towns have been developed over the years. Areas such as North Hills, Crabtree, Brier Creek, and Downtown are booming. ​However, with growth comes challenges including traffic congestion, crime, and poverty. Not all areas of Raleigh are doing well. Triangle Town Center has struggled. Capital Boulevard is lined with pawn shops, billboards, and rundown buildings. The abandoned Capital Plaza hotel has long been an eyesore weighing down the Brentwood neighborhood. It is well known that the area has been the site of drug dealing, human trafficking, assaults, robberies, and worse. What was once a vibrant and desirable place to live now struggles. It serves as a warning about what can happen when growth occurs without vision and development that lacks community involvement to keep our neighborhoods and city vibrant and successful.